Rider Alert: Two New Stations! The installation of this station was generously funded by Google in support of their corporate membership program. The station is located in a slightly unorthodox location: on the northeast corner of 33rd & Walnut, behind the building at 3333 Walnut. With close proximity to awesome destinations like Twisted Pine and Sanitas Brewing, this station is sure to be a popular one for everybody! Formerly our temporary Conference on World Affairs station, this solar-powered station sits just off Regent Drive, east of the Center for Community on CU's campus. A huge thanks to everyone at CU who helped make this station happen! A Temporary Station and Free Passes for Conference on World Affairs Week! In case you didn't know, the Conference on World Affairs is free to attend for the community! 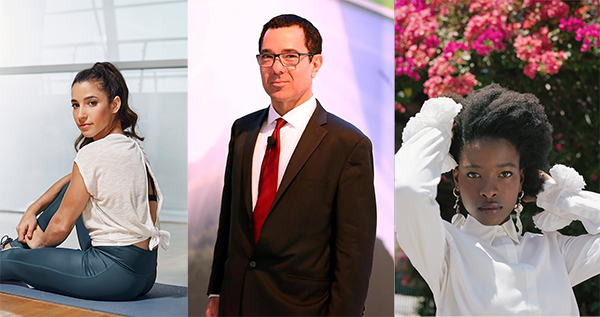 Guest speakers include Olympic gold medalist and author Aly Raisman, co-founder of RethinkX Tony Seba, and MSNBC nuclear security analyst Joe Cirincione. Don't miss out! View the full schedule here. Getting to and around CU during the CWA can be a hassle. That's why we've teamed up to provide free Day Tripper passes for all attendees during the conference: 4/9—13! If you know someone who's never B-cycled, or just if your current pass has lapsed, this is the perfect opportunity to ride. Learn how to ride free here! That's right! 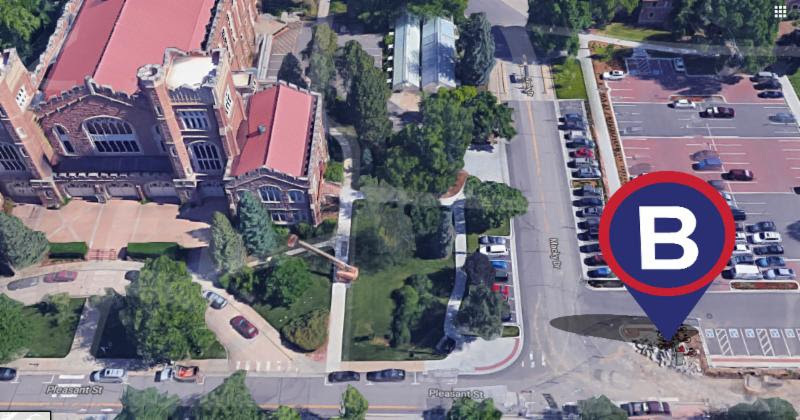 To make getting around during the CWA even easier, we'll be setting up an 11-dock station just east of Macky on the northeast corner of Pleasant Street and Macky Drive for the duration of the conference (4/9—13). A huge thanks to the Conference of World Affairs folks and everyone at CU for making this happen. And of course, this station will end up in its permanent home following the conference. Location to be announced! 2-for-1 Valentine's Day Flash Sale! Still looking for that perfect last-minute Valentine's Day gift? Today only, we're offering 2-for-1 on all full-price Republic Rider passes—new and renewing! Before the end of the day today, 2/14, Purchase your new Republic Rider pass online or log into your account to renew your existing pass. Send us an email letting us know you made your $88 purchase or renewal and would like to redeem the 2-for-1 offer. We'll send you a promo code to redeem your second pass for free! Your second pass can be given as a gift or used to add an additional 12 months onto your existing Republic Rider pass. If you're on a tight gift deadline, you can download a gift certificate here to print out and give to that special someone. Please note: This offer is only valid for full-price pass purchases and cannot be combined with any other discounts. Once again, thank you so much to everyone who took the time to complete our 2017 System Improvement Survey! 2017 was our biggest year ever, as riders broke 100,000 trips for the first time. As Boulder Bike Sharing, we’re proud to be the local 501(c)(3) nonprofit that runs the Boulder B-cycle program. We buy our bikes and software from BCycle LLC, a subsidiary of Trek Bikes, in Waterloo, Wisconsin. For that reason, there’s a limit to what improvements we’re able to make, particularly in the short term. Generally, improvements take the form of changing our bike and station maintenance activities, adjusting the software parameters over which we have control, or implementing third-party solutions—Such as the Report a Problem form and PIPs Rewards. One of the programs we were most interested in hearing from you on was our recently-launched redistribution incentive program: PIPs rewards (Postive Impact Points). This program pays you when you help us redistribute bikes! Unfortunately, more than half of you didn’t know about it! You can get complete details on the program here, but the main thing to know is that PIPs rewards are automatically included in your monthly dashboard email, so if you haven’t cracked those emails open, this is a great reason to do so! We’d love participation in this program to increase. Around 30% of participants said that the 100 PIPs per balancing trip was too low, so starting this month, we’re increasing the incentive by 50%—That’s 150 PIPs per trip! For reference, 350 PIPs gets you a $5 Kindle eBook gift card, and 1500 PIPs can be redeemed for a $25 Whole Foods Gift Card! Those are just some of the many ways to redeem PIPs, and you can look to find the first round of increased PIPs in your monthly dashboard at the end of January. We also had a few people comment that they don’t like that negative balancing behaviors detract from their PIPs score, but the reality is that the program wouldn’t achieve its goal without also summing negative behaviors. Otherwise, PIPs would be rewarded for an action such as checking a bike in to an empty station and then checking it back out, which doesn’t aid in balancing the system. But remember—you’re never penalized for a negative net balancing score! At the beginning of 2017, based on feedback from the 2016 system improvement survey, we launched the Report a Problem form, which is attached to the new bike return notification. The vast majority of you like the notification/form combo, and we’ve seen it used more than 800 times over the course of the year—Around one reported problem for every 130 trips. This translates to a dramatic improvement in the number of bike and station issues being reported. For the 4% or so of you who don’t like the new notification, we’re sorry about that. Giving riders the ability to pick which notifications they do and don’t receive is, unfortunately, an aspect of software development over which we don’t have control and on which haven’t been able to influence our software vendor. We’ll stick with the will of the majority and keep the notification and form running. This doesn’t concern improvements, but we were happy to learn from survey data that around 32% of Boulder B-cycle trips replace personal car trips—either alone or as part of a multimodal solution. That’s great news! As before, RFID card checkout remains the highest-rated option, so if your pass allows for that checkout method and you’re not using it, give it a go! Most of the comments surrounding checkout methods had to do with reliability issues related to the app. We certainly recognize that there are shortcomings with the BCycle app. While we have no direct control over its development, we continue to pass along all rider feedback to our software provider, in the hope that bugs and other issues will be addressed. A station software update may be to blame, and we’re working with the software vendor to see if this is the case. Our stations use a 3G data connection, and mobile providers have recently changed how they prioritize 3G versus 4G data. We’re exploring the costs and benefits of refitting our stations to operate on 4G and other upcoming networks. We hear you on the brake and gear issues. Gears issues in particular have seen a pretty significant jump in reporting this year, and that appears to be (aside from increased bike issue reporting in general) due to the age of some bikes in the fleet. We’ll be servicing and replacing parts as needed as bikes come through the shop, and we hope that you’ll continue using the Report a Problem form, as this is our best resource for hunting down bike issues in a timely manner! Other bike improvements we have planned for 2018 include brighter replacement headlights and rolling out more new grips and saddles. The final key piece of information to know about bikes is that as of 2017, our vendor has ceased production of the bike model that we have in service currently (known as the 1.0 B-cycle). This isn’t an immediate concern for us, as these 1.0 bikes have proven to be incredibly durable, with almost all bikes that were launched in 2011 still in service today. However, this does prevent us from responding to rider requests for alternate configurations such as rear racks or baskets. We are always monitoring—and riding—new bike offerings from BCycle LLC and other vendors, so we’ll revisit configuration feedback when it comes time to consider fleet replacement further down the line. As in previous years, balancing was the lowest-rated area for station satisfaction. We’re hoping that by dialing up PIPs (and making sure more people know about it) that we can mitigate some balancing issues. Per our 2017 Colorado Gives Day campaign, we’re also looking to improve operational efficiency by separating out maintenance and balancing—and doing more of both by bike! Look for more info on those changes coming soon in a separate post. In case you’re curious, we relocate approximately one bike per 10 trips by riders. In 2017, about 10% of our rebalancing trips were completed by the BEAST, our electric-assist bike trailer! As far as station location requests were concerned, it should be no surprise that once again, Table Mesa Shopping Center topped the list. Those of you who have been with us for a few years know that this location has been our white whale. We’ve recently re-started talks with the property owners there to scout viable locations. Space and cost remain significant concerns, so we’re currently exploring creative solutions to the high full-price cost of a station installation, including the possibility of relocating under-performing stations in 2018. Second in line were a collection of requested CU Boulder locations. While CU has been a strong supporter of our program for a number of years, expansion on CU’s campus has been hampered primarily by questions of land use and high expansion cost. Our conversations with CU continue to move forward, and the same creative solutions we’re examining for the Table Mesa Shopping Center location also apply to CU. Finally, winter solar issues came up in a few comments on the survey, so in the event that you missed our earlier blog post about solar issues, you can read that here. Some riders expressed dissatisfaction with the fact that overtime fees are only assessed in 30-minute increments, which bothers us as well. We’d love more granularity in how we can price overtime fees, e.g. to the minute, but we’re once again limited by our software on that front. A small percentage of riders (just under 14%) expressed willingness to pay more money for more free trip time, so if there’s a way to implement that change without adding too much complexity to our existing pass offerings, we’ll explore what that might look like for 2018. The only price change that we’re planning on implementing immediately applies to RFID cards for the People’s Pedaler (monthly) pass. Unfortunately, riders have not been keeping this pass active as long as we’d hoped when we initially determined its price. Many People’s Pedalers only keep their pass for a single 30-day period, and the cost to us of mailing a membership card is nearly half of a month’s cost. Going forward, new People’s Pedalers will be presented with the choice of receiving a membership card. Riders who opt out will still have access to app, SMS, and credit card checkout, and will still pay $11 per month. Riders who opt into receiving an RFID card will pay a one-time fee of $5, which will cover our cost of mailing the card. People’s Pedaler pass holders who keep their passes active for four months or more will be eligible for a $5 rebate on the cost of their card, applied toward their next monthly payment. A $5 card replacement fee will also apply to People’s Pedalers whose passes have been active for less than four months. The Republic Rider pass will still include an RFID card by default. Finally, a number of survey respondents asked about both dockless bike sharing and e-bikes, so we’d like to take the opportunity to address both of those questions. Currently, our vendor does not have either dockless or e-bike options available to us for purchase, but we aren’t necessarily limited to working with a single vendor, even though that’s how we’ve operated until now. First, let’s talk dockless: We’ve been following the dockless bike sharing industry very closely since it first broke in 2016. It’s clear to us that while there are certainly potential issues associated with some dockless bike sharing programs.You may have seen photos from Beijing, Seattle, and other cities of dockless bikes ending up destroyed or parked irresponsibly. A number of major players in the industry have also already gone bankrupt. Our analysis has determined that dockless bike sharing requires significant operational investments to ensure that it’s a benefit to the community and not a nuisance. We believe that Boulder deserves committed, stable, quality bike sharing. Within those parameters, we think there can place for a well-operated dockless system. One of the primary benefits of dockless bike sharing is its cost. While it’s clear that our riders want bike sharing in Boulder to serve a larger geographic area, expansion is very expensive for us under our current model. Each new bike we purchase costs over $1,000, and new stations range anywhere from $35k-$50k depending on configuration. Dockless bike sharing provides a much cheaper point of entry, albeit under a different business model. While dockless bike sharing could resolve some of the cost and space issues we currently face surrounding expansion, it is also worth noting that all major dockless bike sharing companies operate under a for-profit model. In other words, there is less incentive for them to operate in the kinds of low-density areas that our non-profit organization seeks, in its mission, to serve. Ultimately, if and how dockless bike sharing operates will depend on policy crafted at the municipal level, as well as how CU Boulder chooses to approach dockless bikes on campus. We’ve been in touch with a number of players in the dockless industry to discuss how Boulder can best be served by this new industry. You can expect a lot more to happen in this realm in 2018, and as always, we’ll be as open and transparent about with you as possible. As far as e-bikes are concerned, should dockless bike sharing come to Boulder, it seems likely that that’s where shared e-bikes would hit the streets first, as several large dockless companies have deployed or are developing dockless electric models. There remain a number of operational question marks surrounding e-bike sharing, most importantly the issues of batteries and pricing. If e-bikes are to be charged in the field, they require far more voltage than our current stations produce, and solar technology is not yet sufficiently advanced to handle charging a battery of the size found in e-bikes. In other words, running e-bikes in a station-based model would require us to replace all of our stations, and hardwire locations that were previously solar-powered. That’s expensive—As in several million dollars expensive. The other option is to forego stations and swap batteries in the field. This is a slightly less expensive, though ultimately still costly option. Depending on how frequently bikes were ridden, staff might have to swap each bike battery daily, which would require both a significant expense in staff time, as well as charging, stocking and storing a large surplus of batteries. Furthermore, depending on what vehicle was used for battery swapping, this could lead to a dramatic increase in the program’s carbon footprint. Given the costliness of both procuring and servicing e-bikes, it’s not yet clear how to effectively price an e-bike share program in such a way that it’s affordable for riders while still covering the substantially increased operational costs. As in previous years, the number one thing you wanted us to work on moving forward is station locations! This, of course, is also the most expensive thing we could work on under our current model. However, given the aforementioned advancements in dockless bike sharing, there may be opportunities for bike sharing in Boulder to serve new areas of town under a different model in 2018. Second to station locations were system balancing and bike maintenance. We’ll continue to tweak the PIPs program to incentivize riders to help us in rebalancing, and we’ll be reporting back on how changes to our maintenance and balancing practices have impacted balancing once we have more data. We’ve also put more hours on the calendar for our fleet technicians in 2018, so we hope that will positively improve the quality of bike maintenance. That’s all for now! Thanks for sticking through this very long post. Look for a complete data wrap up coming in our 2017 annual report in a few weeks. As always, thanks for riding, thanks for your feedback, and thanks for your support! Our top priority is to run the best bike sharing program we can with the resources we have available to us. For that, your feedback is critical. That's why every year, we distribute a System Improvement Survey to assess how we've been doing in the past twelve months, and how we can improve in the year to come. You can click below right now to take this year's survey. It will take between 10 and 15 minutes, and we will read every single response. Or a free Boulder B-cycle Republic Rider (Annual) pass!